Naga Industries wasn’t Calvin’s first choice of a place to intern. It wasn’t even his tenth. But when every other internship spot is taken, he finds himself at the mercy of Draeke Lindwurm and he’s way over his head. Draeke doesn’t want an intern, but his go-to man is threatening to revolt if he doesn’t get them both some help. Calvin is everything Draeke doesn’t like in men. 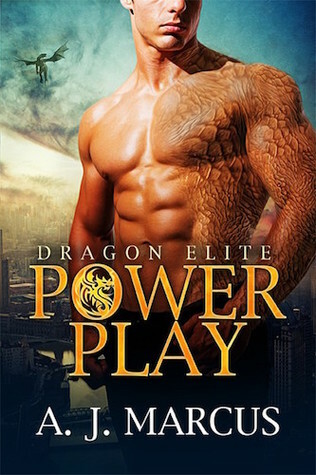 He’s too young, too average, never on time, doesn’t dress well, and worst of all Calvin is human which makes things complicated between them when he becomes a pawn in a power play with the world’s dragon elite. I love powerful dragon stories, and this author did not disappoint. I so want to have a dragon fall in love with me and take me flying and then make love to me *daydreaming*. This is the first time reading this author, and I definitely look forward to reading more. Better yet, I can’t wait to read book 2 of this series. Draeke is a dragon that runs Naga Industries in Denver. He’s happy with the way things are going but his sidekick, Arach, threatens him if he doesn’t get them some help. Draeke doesn’t want an intern, but he must make Arach happy. And the workload is heavy. Most of Draeke’s employees are fellow dragons, and he likes it that way. He definitely does not want the human intern that’s coming to start work. Calvin is a human going to intern at Naga Industries, and he’s already running late for his first day. He’s greeted by Arach and is already warned he may not make it through his first day. He’s not sure if Draeke is gay, but he thinks it might help if he flirts his way to his heart. He’s trying to be helpful, but nothing seems to matter. He can’t seem to get on the good side of his boss. As the intern, he has to go on a business trip with his boss. On the flight, Calvin learns that Draeke is gay, but it’s made clear that Calvin is not Draeke’s type. This is not good for his ego, but he’s there to do a job. When the job gets ambushed, and Calvin is kidnapped, it’s then that Draeke realizes that this intern has gotten under his tough dragon skin. The dragon world is being hit at all angles, and the tiger pack is out for blood. What is the tiger’s motive? Will Calvin survive the torture he has to endure? Will Draeke be able to save Calvin and tell him how he really feels? These are all the questions I was asking myself. And guess what? I had to read it to get my answers, as you will have to do the same. Enjoy this book.